Each picture shows a part of a compound word. For example, if thefirst image is a picture showing honey and the second image is apicture of a bee, the answer is 'honeybee'. Puzzles are generallyeasy but sometimes hard to solve. You can skip to next puzzle ifyou find it hard. Over 1000 puzzles. Tap the letters, find theword. A simple puzzle! Insert given blocks to 10x10 area and completehorizontal and/or vertical lines to clear space. Every insertedblock and cleared line will give you points. Clear 2 or more linesat the same time for extra bonus! Easy, Medium and Harddifficulties with separate leaderboards. Oyun, cihazın kontrol ettiği 3 rakibe karşı oynanır ve tercihebağlı olarak 51 veya 101 puana ulaşıldığında sona erer. Klasikpişti kuralları geçerlidir. J ile yapılan pişti 20 puandeğerindedir. Uygulama hiç bir şekilde kart saymaz; uygulamanınkontrol ettiği diğer oyuncuların kağıtlarını dikkate almaz. Heroyuncu için ayrı ayrı o el dağılan kağıtlara göre karar verir.İnternet bağlantısı gerekli değildir. The game is played against 3opponents controlled by the device and ends when the 51 or 101points are reached. The rules of the classic patisserie are valid.Made with J, it is worth 20 points. The application never countsthe card; does not take into account other players' papers that theapplication controls. For each player he / she decides according tothe hand-shredded paper. Internet connection is not required. Find hidden words, solve the puzzles. You can choose randomlygenerated generic puzzle or a puzzle with a theme.All puzzles aregenerated randomly from a library that contains thousands ofwords.You can get extra points by finding extra words!There is aninfinite number of puzzles! Telefon ve tablet cihazınız için cihaza karşı koz maça ve ihalelibatak oyunu.Tercihinize göre 5, 7, 9 ya da 11 turoynayabilirsiniz.Cihazın kontrol ettiği oyuncular, kağıt saymaz;diğer oyuncuların ellerini görmezler, yalnızca kendi ellerine göreoynarlar.Yükseltmek zorunlu olup koz çıkmadan koz çekilmez.Phoneand spades and auctions trump the quagmire game against the devicefor your tablet device.depending on your preference 5, 7, 9 or 11rounds played.Players check that the device does not count paper;ignore the hands of other players, they only play by their ownhands.Raise mandatory is intolerable leaving trump card. Application creates a puzzle randomlyselectedwords instantly.Hidden words may be inserted vertically, horizontally, reverseordiagonally.Unlimited puzzles. Can you guess the word based on the pictures?Each puzzle containsfour pictures that have something in common.Simply tap the lettersto write the word. Just a simple game. No registration, no fees! WordsOnHexagons is a word search game.The goal of the game is tofind the words hidden at hexagons with word definitions.The game iseasy at first levels but it gets harder at later games. 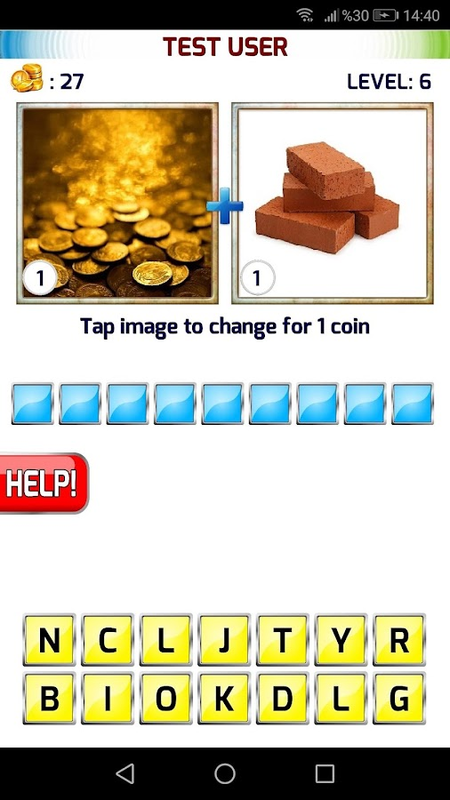 All gamesare created randomly.If you can't find the word you may also useclues to reveal the letters of the word.Players get 5 more cluesdaily.The game needs an internet connection, however internet usageis minimal. *** WordWhizzle Seach is the new hit game from the makers of thepopular word games WordBubbles & WordWhizzle! *** Help theWordWhizzle Professor and become the top word search expert byfinding hidden words in a grid of letters... Swipe letters up,down, diagonally, and across to build words as you and theProfessor tackle the ultimate vocabulary challenge!---------------------------------------------------------------------------------------Seven reasons why you should try WordWhizzle Search: • Free! Itcosts nothing to play! • 2700+ fun and challenging levels! • As youplay, the difficulty level increases along with your skills! •WordWhizzle sharpens your vocabulary and tests your puzzle prowess!• Solving WordWhizzle Daily Puzzles gives you free hints! • Showoff your skills and play WordWhizzle with friends on Facebook! •Easy to play, but hard to beat!---------------------------------------------------------------------------------------Do you have what it takes to help the Professor conquer WordWhizzleSearch? Play for free right now!